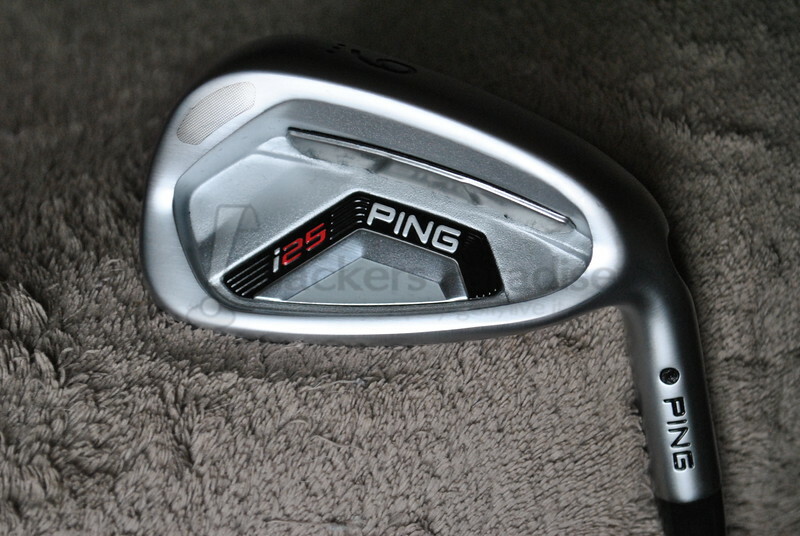 This year, PING is releasing the newest generation of i-Series irons, the i25. These are following up what is one of the most successful iron releases the company has had in quite some time, which makes them even more interesting. For this review, THP spe time with the i25 irons in a 3-LW configuration paired with CFS steel shafts. CTP stands for “custom tuning port” and is not new to PING. 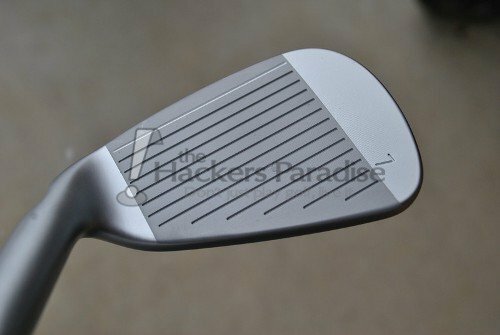 It allows for the manipulation and adjustment of weight within the head in order to help with dampening, as well as trajectory. By placing the CTP lower in the head than prior versions, it will increase the ability to provide optimal launch angles throughout the set (higher in the long irons, flatter in the scoring irons). By accompanying the CTP with PING’s traditional tungsten toe weighting, the head is more resistant to twisting from a variety of lies. In essence, the goal was to provide better angles throughout the set, along with more stabilization and “feel” at impact than the i20’s had. The stabilizing bars were also in the previous i-Series release and were one of the key features to why the set was so successful. By varying these throughout the set, along with the progressive offset and size of each iron, the i25’s have been tuned for optimal performance. 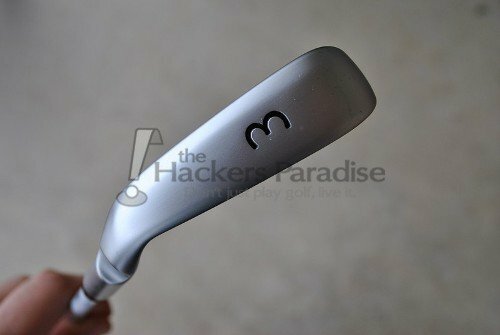 The “progressive” nature of the i25’s is evident immediately, as the longer irons have a bit more offset, longer overall length (heel to toe), and the actual height of the face is shorter. All of these features move towards the other end of the spectrum as you work your way to the scoring irons. This is all based on the knowledge that most golfers need more perimeter weighting and help getting the ball in the air within the longer irons, while typically benefitting the most from a flatter trajectory in the shorter irons to prevent ballooning and a loss of accuracy into the green. 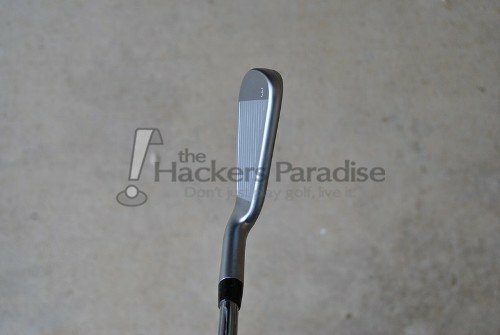 Aesthetically the i25 is much more of a slight evolution on the i20 rather than an all out change, but when you have something that was widely viewed as one of the best looking irons released at the time, starting over would not make sense. 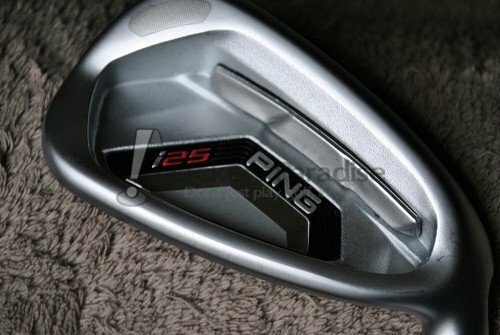 Instead, keeping with what is essentially tradition, the i25’s feature PING’s satin finish, which is one of the nicest out there. One difference is the dark finish that was on the face of the i20’s (and had some durability issues for many) is no longer there and instead is much lighter and will hide wear over time more evenly. The topline and offset of the set fit between what most would consider the size extremes out there and toes that line well enough to inspire a significant amount of confidence in-hand and at address. Additionally, the soles of the irons possess a little more width and bounce compared to others within this class of iron, but is a typical PING trait based on their belief of what works the best for golfers in a large variety of skill levels. The biggest visible difference in this generation of the i-Series from its predecessor however is also just as much technological as it is aesthetic. It has also been the most talked about change. 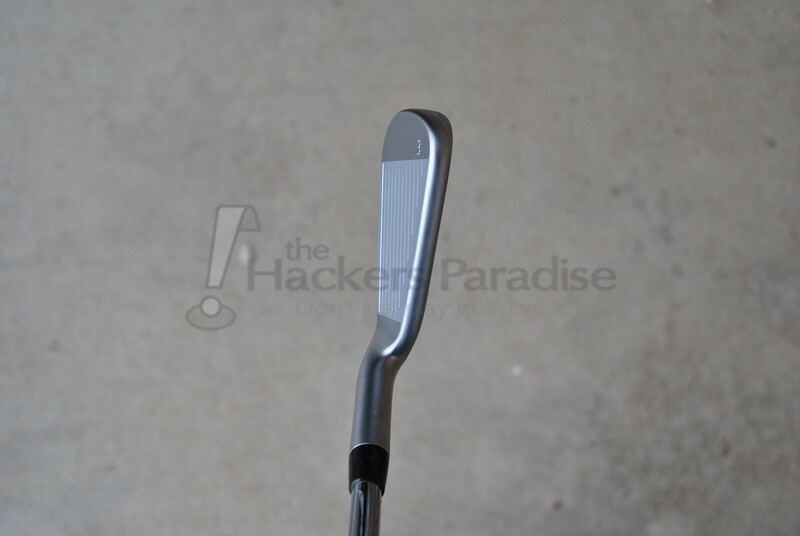 The cavity of the i25 irons is a much more simplified look than what we saw from the i20’s. To some it looks too plain, while others consider it clean. No matter the side one falls on, the look shows off the changes in technology within the head, namely the Dual Stabilizing bars that are the black focal point in the cavity, as well as the deeper and now more recessed CTP. Although there will still be some back and forth about the change of direction in the cavity, there is no denying that PING has created a very simple look that keeps the focus on the overall design attributes instead of just the cavity. Because of the vast similarities as it pertains to looks, the major question with the i25’s coming in was obviously would the performance factor be similar as well. The i25’s indeed possess a myriad of the same performance traits as the i20’s before them. However, there are also a lot of subtle performance changes that allow the i25’s to stand toe-to-toe with the other massively popular releases we have seen in the last year. The biggest change in the i25’s comes in the overall ball flight and trajectory characteristics throughout the set. Because of the progressive nature of the irons, the actual launch does change from the long irons (higher) to the short irons and wedges (flatter) just like the i20’s before them, but the launch angles achieved in the stock setup are much improved, particularly in the long irons. 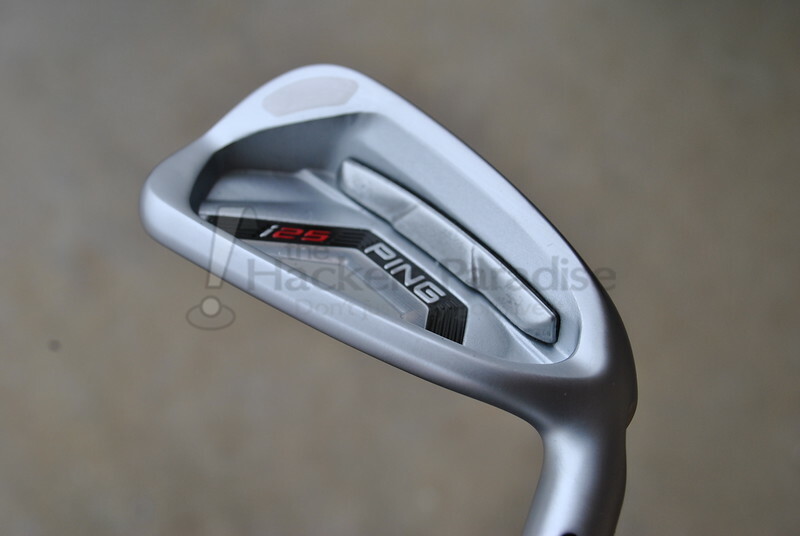 The increased launch is no doubt thanks in large part to pushing the CTP lower in the head as well as the pairing the heads with PING’s CFS shafts, which are solid launchers on their own. This increased trajectory has actually made the long irons (3/4/5) more playable, as they want to get up in a hurry while still allowing for the ability to hit them into greens with confidence. Clearly, the ability to hit a long iron still comes back to having a repeatable swing, but the i25’s aid the golfer as much as they can outside of that. As it pertains to the shorter irons, PING’s utilization of wider stabilizing bars, lessened offset and a deeper face definitely encouraged the tendency to have a flatter, more piercing trajectory than that of the longer irons. While being flatter, spin on shots into greens was not at all hindered and the ball flight actually lent itself in the prevention of ballooning and potentially costing accuracy. Much like the i20’s before them, the i25’s really shined as it pertains to ball flight throughout the set, with the understanding that it does not have to be either high launch or low launch, but instead that most golfers will benefit most from a blend of the two. Undoubtedly the key factor in overall distance seen out of any golf club is going to be proper fitting based on the needs of the individual’s swing, since no two golfers are alike. For this reviewer, the biggest benefit of the improved launch of the iron set (compared to their predecessors) was in the overall distance seen out of the irons. On average, the i25’s were almost one club longer than the i20’s before them and much more in line with what we are now seeing out of recently released irons. While the i25’s may not be the longest iron set out there, they without a doubt place themselves toe-to-toe with the majority of others out there. In the end, PING’s emphasis on proper fitting will remain the key to getting the most distance out of the irons feasible for the individual – something worth keeping in mind. 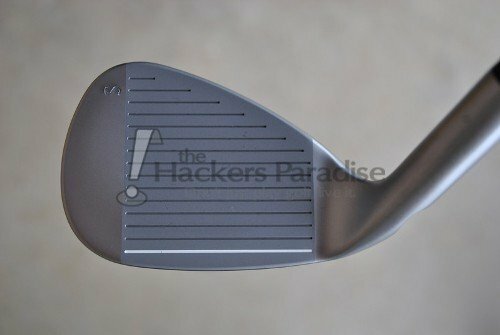 Even with the increased launch and various tech tweaks within the irons, one thing that stayed the same (in a good way) is the overall forgiveness. Although they certainly aren’t as forgiving as the G25 or Karsten releases, the amount of forgiveness packed into them without sacrificing distance or feel will impress many. 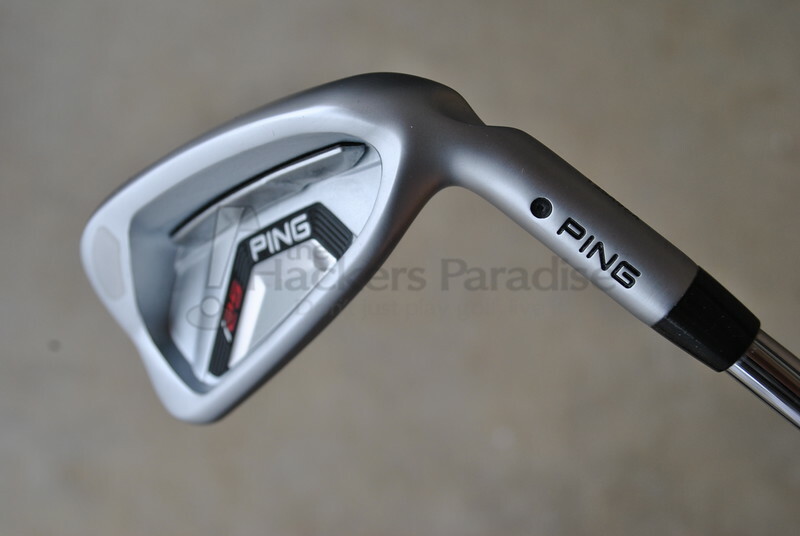 The use of tungsten to maintain the stability and to resist twisting makes them one of the more forgiving irons tested on toe misses as far as distance loss and holding the intended line. Additionally, misses heel side and high on the face kept a solid dispersion with expected and acceptable distance losses. It should be no surprise the shots extremely low on the face were the most penal. Overall, the i25’s offer a well rounded amount of overall forgiveness for the category within which they fit. Though extremely personal and subjective, the i25’s are also well rounded as far as their sound/feel and overall versatility are concerned. 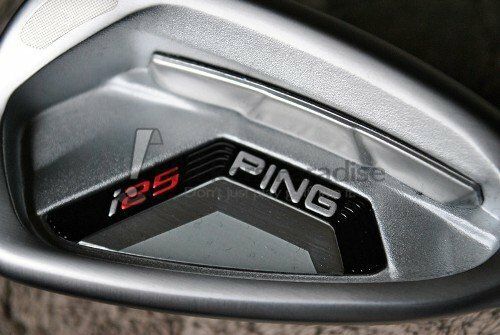 Thanks to PING’s understanding that sound dampening is the key to feel within an iron, they have managed to create a lower tone at impact, which for many will lead to the sensation of being surprisingly “soft” and should appease people on either side of the cast versus forged debate. 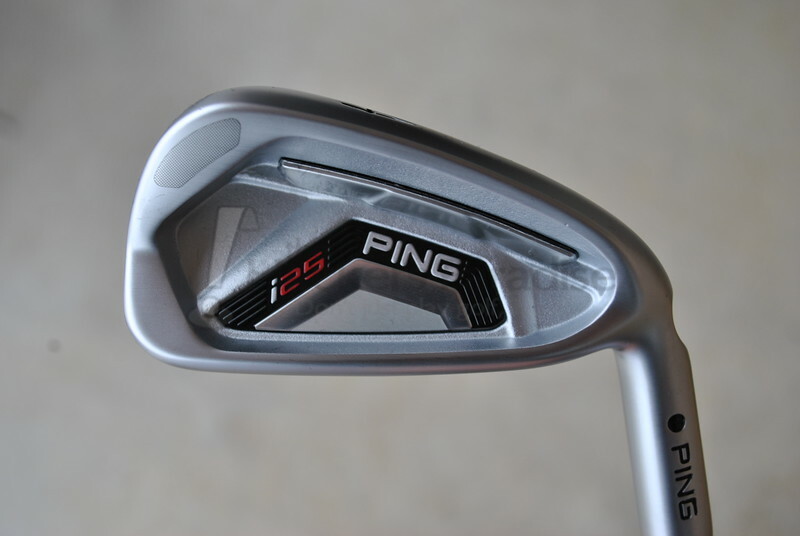 Additionally, from the standpoint of versatility PING has designed an iron that while possibly not as “workable” for some as true “players” irons, will still allow for putting a significant amount of directional movement on the golf ball based upon the shot needed. Much like with the feel, the versatility should certainly appease people on both sides of the workability front. For a company, following up a publicly praised and all-around successful release can undoubtedly be a daunting task, as the pressure to again deliver is front in center. It is in this situation that rather than trying to reinvent, PING realized that they should instead simply take what already works and tweak it. Clearly the issue with doing this in the eye of golfers is wondering if there is really enough of a difference compared to the previous generation to justify the price. In the case of the new i25’s there are certainly a lot of similarities in the overall design, but it is also evident that there is also increased performance in several key areas as well. As always though, it will all come back to how the club fits the person swinging it. It is for that reason the best way to find out is to go out and try them for oneself. For more information on the i25 irons and the rest of the i25 line, check out www.ping.com. I had a feeling this review would be absolutely jam packed with information. Sacrificing control (even if it’s largely in my head) is something that I struggle with when selecting an iron, but I don’t feel like the i25’s should be grouped in that category. I’m shocked by my own experiences along with the responses I’ve read, and can’t wait to hit these again! Great review Jman! A consolidated report of what the review thread has been sharing. These irons certainly are a work of art and I can’t wait to get them on a grass range to really put them through their paces. Good stuff James. I’ve wanted to hit these since the announcement, and this doesn’t help any! Sounds like a great evolution of an already impressive iron line. I’d like to see a review as thorough as this one for the Callaway Apex irons, will we see that anytime soon? Enjoyed the review James. I’m very impressed with what Ping has done with the i25s. It really sounds like they have advanced the i series into something that I really need to get out and try. I was lucky enough to get the chance to visit ping HQ in Gainsborough recently. 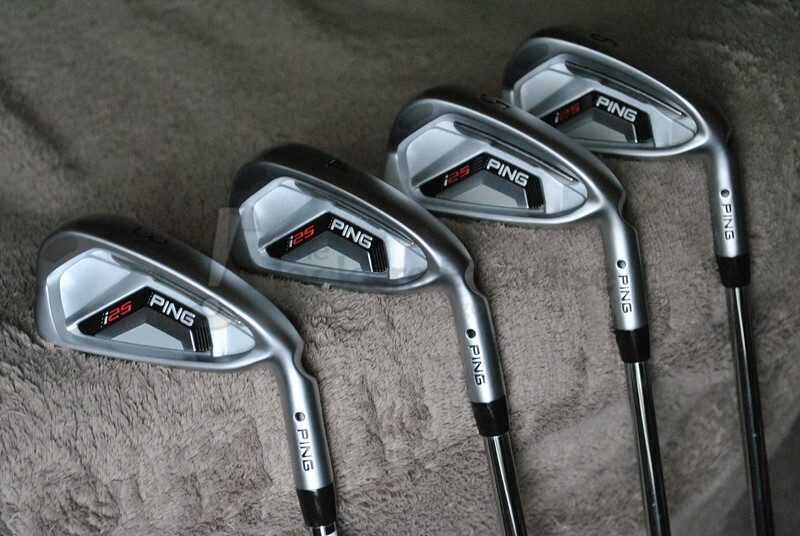 I was fitted for set of new i25 irons, which have transformed my game. Would highly recommend it to any one who plays the game.